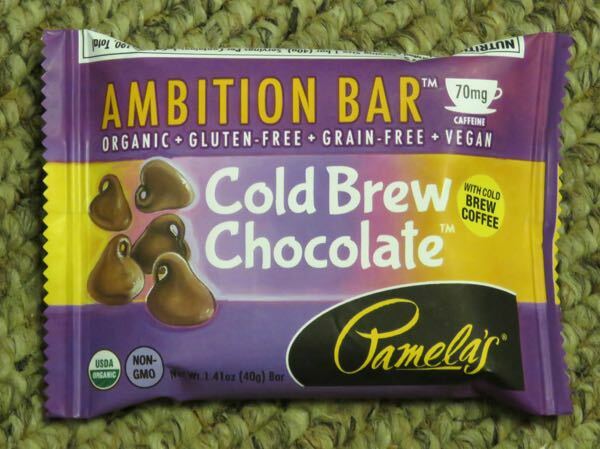 The Ambition Bar - Cold Brew Chocolate bar from Pamela's Products, Inc. (Ukiah, CA) was made with cold brew coffee (and green coffee); and was one of 5 different, new caffeinated Ambition Bar flavors from Pamela's. 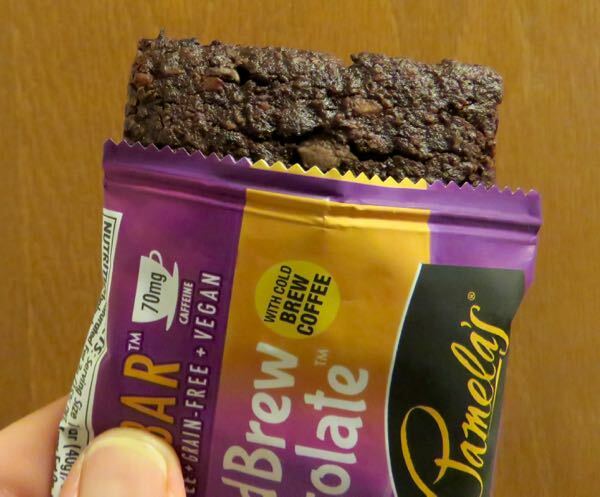 The company has been producing and working on their expanding gluten-free product line for many years now. Their ginger, chocolate chunk/chip and other cookies were a welcome addition to grocery shelves many years ago when there were few good-tasting gluten-free options available in the U.S.
Today's Ambition Cold Brew Coffee Bar had a warm, pleasing cookie aroma reminiscent of fig bar, graham cracker, dates, blended with chocolate chips and a faint hint of coffee and malt. 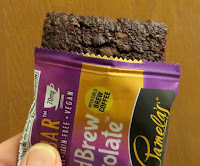 The ebony-colored bar had the look and texture of a soft brownie cookie bar. It was satisfying and flavorful without being too sweet. 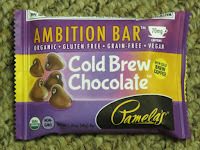 The chocolate chips yielded bursts of rich chocolate flavor and it had a mild coffee and chocolate cookie finish.